The unbalanced budget is in large part due to funding problems at the TTC. Photo by Daifuku Sensei from the Torontoist Flickr Pool. Toronto’s 2017 budget launch on December 6 brought a wealth of detail in proposals for City spending over the coming year, but little in good news for transit riders. A gap of over $75 million remains between the TTC’s subsidy request and the amount of money provided in the preliminary City budget. On the capital budget, SmartTrack, the system that was supposed to be self-financing, now consumes the lion’s share of increased debt the City will finance over the coming decade. Here’s what we know, and how it all breaks down. The operating budget pays for day-to-day service and maintenance on the transit system. The amount of subsidy affects fare and service levels and, to an extent, the quality of maintenance. For 2017, the proposed budget for conventional transit service is $1.765 billion, plus $153 million for Wheel-Trans. The subsidies requested by the TTC are $528 million (conventional) and $143 million (Wheel-Trans) for a total of $671 million, a 9.6 per cent increase from $612 million in 2016. About 40 per cent of this increase is due to the fast growth of Wheel-Trans demand from an aging population and improved eligibility standards mandated by the Province of Ontario. For its part, the City has proposed lower subsidies, leaving the TTC with a gap to be filled either by improved subsidies, service cuts or a fare increase beyond the 10 cent rise already planned for January 2017. The size of this gap depends on which numbers one looks at. On the TTC’s budget it is $61 million, but this assumes the City will assume $37.5 million previously classed as “operating” in the City’s capital budget. The City does not agree with this scheme and rejects any form of “side loading” where expenses are artificially reduced simply by moving them between budgets. Even so, the City has included funding for this in the preliminary budget. 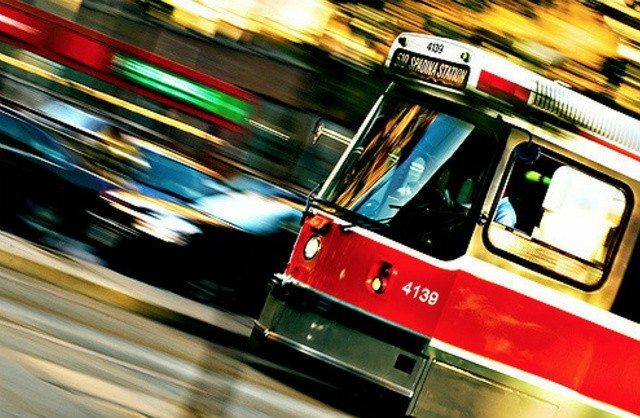 Other adjustments up and down bring the gap to $77 million in the city’s version of the TTC budget, but even this could be low and the total could crest the $100 million mark. Reversal of the service improvements brought in by Mayor Tory to undo the cuts of the Rob Ford era. Additional service cuts that would further curtail hours of service on less well-used routes and increase crowding on those still operating. These would collectively save $44 million over the year. Photo by Tony Lea from the Torontoist Flickr Pool. Increasing the basic “token” fare by 20 to 50 cents rather than the current 10 cent plan, with a concurrent change to the cash fare to keep it above the token rate. Removing discounts for bulk purchases of Metropasses by individuals and organizations. Eliminating reduced fares for children (now free), students, and seniors. If the TTC gets no more City funding, this is the menu its board members will face. When critics talk about efficiency in TTC operations, they point to lesser-used routes as examples of wasted resources, but the amount of money available from cutbacks there is small compared to the size of the problem. The big “savings” come in reducing service standards so that more riders are crammed onto fewer vehicles, a move that would strain the existing system and severely damage transit’s credibility as an alternative to any other form of travel. To its credit, the TTC Board refused to balance its budget using any options from this list and dropped the whole matter in City Council’s lap. However, the large difference between the residual deficit approved by the TTC and the actual deficit as shown by the city will make the debate of even a temporary budget “fix” more challenging. Mayor Tory often states that he wants to hold down costs faced by taxpayers, and that he does not want to cut vital transit services essential for moving people around the city, but transit needs more than small change to balance the books. The City is “lucky” that ridership is not growing because this avoids the extra cost of actually providing more service. The City’s problem with rising TTC deficits will continue into 2018 thanks to several factors including the Spadina Subway Extension’s opening, the full rollout of Presto, and continuing growth of Wheel-Trans ridership. On the revenue side, the TTC Board voted that fares will be frozen at 2017 levels for 2018, and a $14.4-million draw from the City’s “transit stabilization” reserve account in 2017 will empty that piggy bank. Overall, the City projects that $170 million more will have to be found to balance the TTC’s 2018 budget. Moreover, the City’s Executive Committee has just endorsed a “Fair Pass” scheme for low income riders that would add $4.8 million to transit costs in 2018, rising to $48.2 million by 2021. Whatever the accounting treatment (social benefit or new subsidy), this will mean even more money must be found to balance the transit budget, and Fair Pass will compete with other demands on transit funding. This will not be an easy situation going into the election year. Photo by Willem35 from the Torontoist Flickr Pool. Capital budgets build things like new subway lines, pay for major overhauls of existing infrastructure, and fund the replacement of transit vehicles. In Toronto, there are three broad groups of projects that are funded in different ways. The TTC has a 10-year capital program totalling about $9 billion. In recent years, the major source of funding is the City of Toronto through both debt and “capital from current” charges against the city’s operating budget. The provincial and federal governments contribute about $240 million annually in gas taxes between them. The recently announced PTIF (Public Transit Infrastructure Fund) program will bring more federal dollars to Toronto on a 50 per cent cost shared basis with the city. In phase one, this is concentrated on maintenance work and a large order for new buses, items that can be completed within the short mandated window for this phase. Certain projects such as the subway extensions to Vaughan and Scarborough have their own budgets and sources of funding coming from all three levels of government. Toronto’s contribution to the Scarborough extension will be funded mainly from a 1.6 per cent property tax increase that was introduced gradually over the past three years. The provincial government is building enhancements to its GO Transit network as well as new LRT lines, notably on Eglinton. They will also build eight new stations to be funded by the City of Toronto, six of which are part of the SmartTrack scheme. Allowing for expected PTIF money, the TTC faces a shortfall of about $2 billion in its 10-year plan. Over half of this arises from the cost of a new subway fleet for Line 2 Bloor-Danforth which is a pre-requisite for the Scarborough Subway and its planned use of Automatic Train Control. Another item not even included in the budget is roughly $500 million for a new subway yard near Kipling Station. Other unfunded items in the TTC plan are fire ventilation upgrades, and purchases of new buses and streetcars beyond quantities already on order or earmarked for PTIF funding. Within the City’s capital plan, there is a $33-billion gap between available funding and the combined value of projects on Council’s wish list. This includes some duplication with the TTC’s list (mainly the new subway cars), but it also includes major new transit lines that would require City funding, not to mention a long list of non-transit projects. PTIF phase two helps out on some of this, but with only 50 per cent coming from Ottawa, Toronto faces substantial costs for projects like the Eglinton East LRT to Scarborough College, the east and west Waterfront LRTs, the Relief Line and SmartTrack (including the Eglinton West LRT to Pearson Airport). Road tolls. At a minimum, tolls would be used to finance maintenance and reconstruction on the Gardiner Expressway and Don Valley Parkway. This would eliminate the need for the city to raise $1.9 billion in debt, and that money would become available for other projects. If the toll is high enough, it will generate extra revenue to fund other capital projects. The City Building Fund. As currently proposed, this is a 0.5-per cent tax increase that could build annually up to 2.5 per cent by 2021. This revenue has already been factored into City plans. However, an option for Council would be to double this increase to 1.0 per cent annually building to 5.0 per cent. This would finance an additional $1 billion in debt. The City’s self-imposed policy on total debt has been that the servicing costs should not exceed 15 per cent of property tax revenues. A proposed change to the City’s debt ceiling would average this value over 10 years so that some years could rise above the policy level to be offset by years in which the costs fell below that target. This meets the spirit of the policy, but also exposes the City to greater constraint should it require more debt than planned in the future as no headroom would be available. This would finance another $1 billion in debt. Re-jigging the schedule for various projects shifts some spending away from years where funding is tight, and makes room for projects that must go forward. This is a relatively small contribution at $134 million. All of these schemes show that City staff have done much pencil sharpening over recent weeks, but the details are critical. The expressway tolls are linked to the proposed increase in the City Building Fund in that the money to pay for the Gardiner project must come from one source or the other. The fund is included as a source of financing for both the Gardiner and SmartTrack projects, but it is also counted as available for other works if tolls are in place to cover the expressway costs. The money cannot be spent in two places. Although it is an “option”, the extra half percent tax for this fund is badly needed. This would push the total residential property tax hike for 2017 above four per cent once Current Value Assessment changes and the rebalancing of tax rates shifting from commercial to single-unit residential are considered. The issue of “governance” comes up from time to time in budget talks, and this is often code for “why won’t those pesky boards do what we tell them.” In the case of the TTC, instead of bringing in the 2.6-per cent reduction in subsidy requested by council, their board approved a large increase. The implication is that if only the board did its job, the City would not face such a large budget problem. There is some accounting trickery in the handling of the TTC’s budget because that 2.6 per cent was lopped off early in the process when the chasm of an operating deficit, originally over $200 million, was filled by various cuts and savings. The amounts can be confusing because the target is 2.6 per cent of the subsidy, not of the gross TTC budget. The actual cut is only about 0.8 per cent of the TTC’s $1.77-billion budget, small change beside the shortfall they faced at the start of the budget cycle. The really big cuts have come from wrestling that shortfall down from hundreds to tens of millions. At the end of the day, the TTC’s subsidy “ask” for 2017 is still well above the 2016 level, even after much belt-tightening. The work needed to achieve this might be lauded, but it also gives the impression that there will always be more to cut, if only the TTC would try harder. Ironically, the City manager crows about how staff overshot the 2.6 per cent target for budget cuts and hit a 4.1 per cent reduction. By comparison, agencies like the TTC are simply not pulling their weight. However, he neglected to mention that this “achievement” only works if he includes a long list of cuts that are omitted from the preliminary budget because they require policy decisions at council. Without these cuts, the city departments only managed a 0.7 per cent reduction. There is an exercise in wilful blindness to how the transit system operates, and to the fact that large annual cost increases will not vanish simply because council wants to hold down taxes. Because the TTC board chose not to consider budget issues until late in the year, they abdicated a responsibility to understand transit’s real needs, costs and policy alternatives. This leaves the board poorly-informed as advocates to counter budget hucksterism, the snake oil salesmen for whom “efficiencies” will cure any problem that ails us. Unfortunately, the TTC board members, a majority of whom are councillors, chose to cancel both a general strategy session in April 2016, as well as budget committee meetings in April and June. When they finally met in September, the amount of detail to be absorbed was overwhelming, and even by late November, board members were ill-equipped to understand all of the options, much less to act as advocates for better TTC funding at council. They plan to make a start in June 2017 on the 2018 budget. The problem with TTC governance lies not in the board itself, but with councillors who simply do not have, or will not make, time for the detailed study needed to direct a very large municipal corporation. 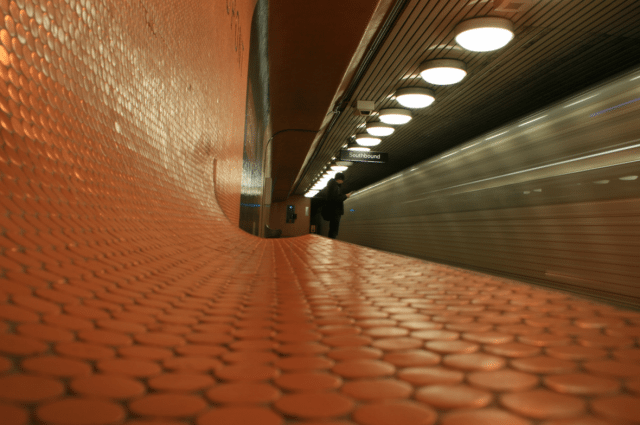 This leaves transit riders vulnerable to the whims of whatever schemes might arise as political expediency rather than sound financial and transit planning.